It’s hard to believe that the Apple Watch is almost 2 years old. I preordered my Apple Watch in April 2015, finally taking delivery at the end of May. Since then, it has become an indispensable part of my lifestyle, and with the two year anniversary approaching, I wanted to share my thoughts on how I still use it. Alternating with my fenix 3, I wear my Apple Watch everyday. I have a few different bands now, so can wear it with sport gear, as well as smart-casual attire. There was a point last year when it became little more than a simple timepiece as the initial novelty wore off, but after a few significant OS updates, there have been some marked improvements in functionality. Here are some of the most significant improvements that I have been enjoying with the Apple Watch. I have discussed the benefits of using Apple’s new W1 chip in my Beats Solo³ and Apple AirPods reviews. In short, it is an incredible and intuitive way to connect your headphones and Apple devices (which use iCloud). One of the biggest negative points of the Apple AirPods I pointed out was the lack of in-built controls. This mild annoyance is somewhat compensated for by having the ability to control your music using your Apple Watch. This has always been a feature, since day 1, but I initially found the watch to be clunky and slow in responding. The controls are a lot faster now, and changing music using my Apple Watch is a huge convenience. This is arguably one of the most interesting and novel features of the Apple Watch. 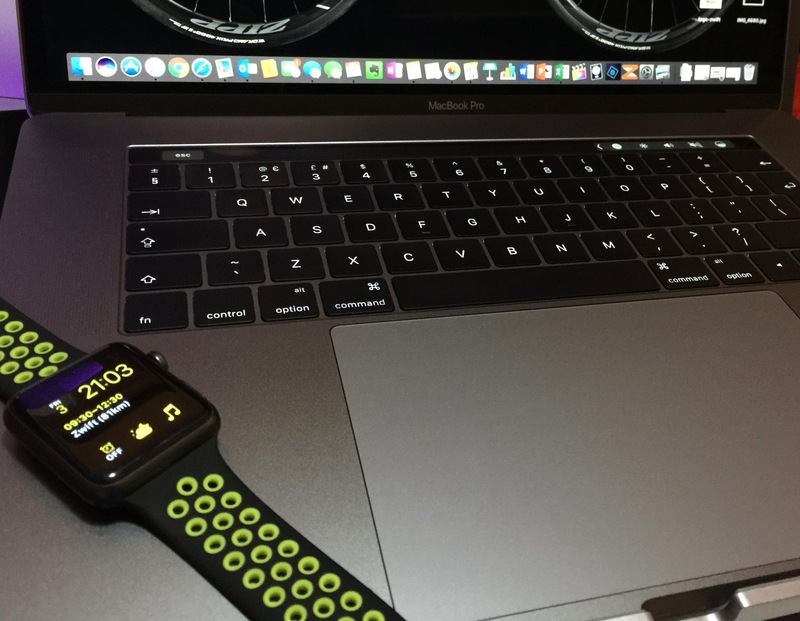 When wearing the Apple Watch, you can now unlock your MacBook (from sleep). Pressing any key to wake your computer will display the message “unlocking with Apple Watch”, as long as the watch is on your wrist and your MacBook is connected to a wifi network. This is very convenient, particularly if you are at work and are unlocking your macBook several times a day, arguably, more convenient than using Touch ID. However, there are a few pitfalls to be weary of. For example, if you are within range of your computer, it can still be unlocked, making it easy for pesky colleagues to see what you are working on (or worse!) if you return to the room but don’t actually go to your desk. Replying to messages with the Apple Watch has always been a huge incentive to wear one. I can easily reply to messages when my phone is not within reach, and this feature has been further enhanced with the latest OS. Replying to messages has become even easier and more intuitive now. When the second gen Apple Watch was announced, I was glad that the overall shape and design had not changed. This was two-fold. 1) It means that my 1st gen watch was (and still is!) the latest design, and will not appear dated. 2) It is still an excellent form factor and very comfortable. I can see this changing slightly with the 3rd gen, which may be a logical upgrade, depending on what is offered. But conclusively, this means that my current Apple Watch still does everything I need it to, and the main benefits of the 2nd gen (GPS, better display, faster) are not worth it (for my use) to warrant the upgrade. I did want to add that I was very infatuated with the new Apple Watch Sport: Nike Edition. The yellow fluorescent band looks lush! Unfortunately, the band is not available separately and I no longer use Nike+ to record my runs (and the Apple Watch is not the best device for running, as I have explored in a previous blog post: https://andykumar.net/2015/06/10/strava-on-the-apple-watch/). I did manage to find a third party band, which has added some welcome change to my watch for now. The dream would be for a Strava Apple Watch! PS: I have been sent this absolutely amazing potable Apple Watch charger by Belkin to review. Stay tuned!